Here is a picture of a leaf taken just after the rain. In this picture, you can see raindrops spread everywhere on the leaf. We can get many such beautiful pictures after the rain. Here is a picture for you which shows the beauty of rain drops perfectly. Here is a picture showing showing a beautiful back view of Wet two Red Roses. This picture is also part of rain photography. This second picture shows that sometimes, we can take beautiful pictures from backside too. Here is extremely beautiful picture of a wet pink rose (wet in rain). Here is set of beautiful white flowers with yellow center. The main thing to observe in this picture is a strange (different) design of flowers. These flowers are freshly wet in rain. Here is beautiful picture of Two Red Roses wet in rain. In this pic, you can clearly see raindrops on the roses. Both of these races are increasing the beauty of each other many times. 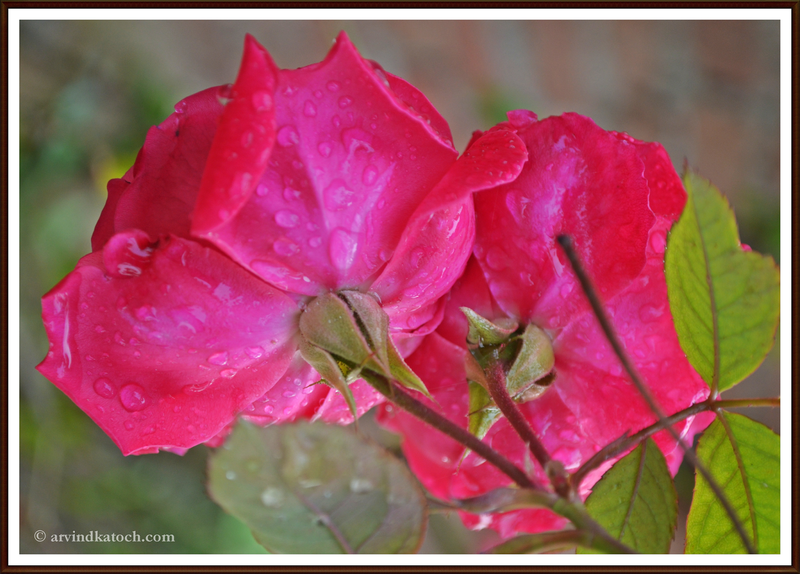 See How Rain drops increases the beauty of a Rose Plant? 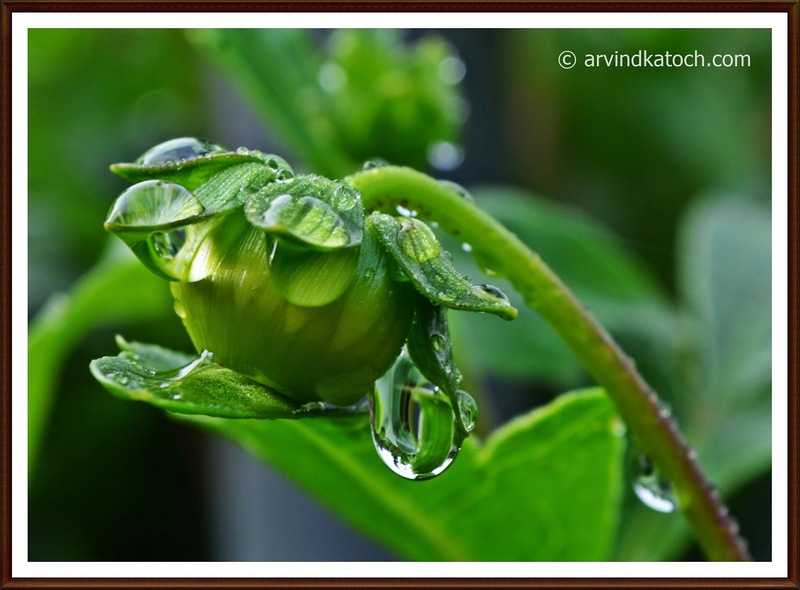 When the rain stops then we can see an increase in beauty of plants and flowers many times due to the fresh rain drops. In this picture, you can see how rain drops are increasing the beauty of a rose plant. Here is HD pic of forest mushroom which appear with lighting and disappears in few minutes times only during the rain. This picture is taken near Baijnath (Himachal Prades). Beauty lies in the eyes of the beholder. This picture is a clear example of this fact. This marigold flower has not grown fully; however, still we can find unique beauty in this pic. Beauty of flower is further enhanced by rain drops. Here is a beautiful picture of a double colored red and white flower. This picture is taken during the rain; therefore, the flower is completely wet with rain drops. We all know this fact a rose looks beautiful, now what about the beauty of a complete Rose plant. A further effect of rain and rain drops add additional beauty to this picture. In this picture, a pink rose pant and a pink rose in the background completely wet in rain with rain drops spread across the plant. Anyone who loves photography must try to use rain drops effect to increase the beauty of a picture where ever he gets a chance. This is new picture for in rain drop series. In this picture, you can see a beautiful pink rose wet with rain drops. These drops are looking like peals. Presently, it is raining in every part of India; therefore, it is great fun to take pictures in rain. Here is first picture in Rain drops magic series. In this picture, you can see Rain drops magically increasing beauty of a red colored beautiful rose.